2016 was the longest F1 Season with 21 Races on the Calendar. Baku became the European Grand Prix and the Season also saw the arrival of a new customer team in Haas F1 powered by Ferrari. Red Bull became Red Bull - Tag Heuer ( Renault engines branded as Tag Heuer ), Renault became a works team hiring the Services of Kevin Magnussen and Jolyon Palmer, Romain Grosjean joined Esteban Gutierrez in Haas F1 while Pascal Wehrlein & Rio Haryanto got drives in Manor ( formerly Marussia ) Racing F1 Team. I had the privilege of attending the Spanish GP and the Hungarian GP this year and both were amazing venues to watch a race. Spain was special since Ferrari achieved a double podium with Kimi Raikkonen and Sebastian Vettel. Experts predicted a close fight for supremacy in 2016. Lets do a quick recap of how it all unfolded in 2016. The Undisputed Kings of the new Turbo era continued their dominance winning 19 races in the season. Nico Rosberg continued where he left off in 2015, winning the first 4 races until a coming together in Spain ( with Lewis ). Lewis Hamilton rose up to the challenge after Spain winning the next 6 out of 7 races. Austria witnessed another incident between the two. Belgium, Italy, Singapore - Rosberg reigned supreme. The Big Twist in the tale came in Malaysia when Hamilton was comfortably leading only to see his engine blow up and hand the lead to Rosberg. The difference stood at 23 points now! Rosberg won in Japan and the difference rose to 30 points. The victory meant that he had to only finish 2nd in the final 4 races ( should Hamilton win each of them ). Easier said than done. Lewis won in US & Mexico, Nico was 2nd. The Big Test came in Brazil. Hamilton was the master of Racing in Rain and was virtually untouched. Max Verstappen got the measure of Rosberg and passed him into P2. There were multiple stoppages, multiple crashes, treacherous conditions yet the Mercedes' strategists pulled off a master stroke to help Rosberg achieve P2. Then came the final round in Abu Dhabi! Lewis Hamilton pulled away from pole with Nico P2. Max pointed the wrong way at T1 but made up to P3 with a long stint on Medium Tyres. Nico was P4 after his pit stop and needed to pass Max to keep his championship hopes alive. The pass was 'critical'. Sebastian Vettel who led the race for a long time made up places in his final stint and was P3 with 6 laps left. Lewis, who regained the lead, went against team instructions and slowed down to back Nico into Vettel and Verstappen. He tried his best and by the time the race ended, the top 4 were separated by less than a second! Nico had done it. He was the 2016 F1 World Champion! Nico had been the more consistent of the two ( one retirement vs two of Lewis' ) although Lewis had won one more race. However the outgoing Champion can be proud of his season. One might say his tactics in the final race were unsporting but he did everything he could ( in his capacity ) to win the championship and its not easy to back anyone up into a chasing pack. It requires a lot of skill. Credit where credit is due, Hamilton is a born racer and there are very few like him in F1. There were a lot of conspiracy theories doing the rounds that Lewis' car was sabotaged to help Nico win the championship - a German champ for a German team. Its unfortunate to have mechanical issues which rob you of victories or precious points at pivotal moments in the championship. Kimi Raikkonen was robbed like this in 2003 and 2005 but that is how motorsport is. It can be pretty unforgiving. Nico has announced his retirement from the sport as well. We won't see him defending his World Championship which is a shame but his priorities are different and we must respect that. Mercedes will have a strong package and a strong pairing in 2017. Pace is not an issue, reliability still is and that will be focused upon in the 2017 development. What Mercedes would not want is to see Reliability dictate who wins and who loses. It will be difficult to beat them to the title! Red Bull parted ways with Renault at the end of 2015 but continued to use their power units, albeit with Tag Heuer branding. Daniel Ricciardo and Daniil Kvyat started the season together and the latter bagged 3rd place in China. However a mistake in Russia caused a crash and costed Kvyat his seat for the rest of the season. There was a lot of furore but experts believed that the Russian was already on borrowed time. Max Verstappen got promoted to the A team in Spain and won the race on debut for his new team! He also became the youngest F1 Race Winner silencing all critics and justifying Red Bull's decision. Ricciardo stepped up his performances too and a shambolic pit stop costed him victory at Monaco. He finally won in Malaysia, making it 2 wins in the season for the team, a marked improvement from their previous year. Red Bull brought in a lot of aero upgrades throughout the season and they eventually overtook Ferrari. Daniel Ricciardo finished P3 in the standings with 256 points with 1 win & 7 podiums. Max Verstappen finished in P5 with 204 points with 1 win and 6 podiums, an incredible achievement considering that he raced for Toro Rosso in first 4 races. Max proved his worth again with a stellar drive in treacherous and rainy conditions in Brazil finishing P3 behind Lewis and Nico. Red Bull should be extremely pleased with their season. They can gain a lot of encouragement from the fact that they have 2 young but incredibly talented drivers in a potent car for 2017. The added downforce might tip the advantage in their favour in the Constructors' battle. They will definitely have a more enjoyable winter compared to 2015. Onwards and Upwards for the team! Ferrari flattered to deceive, that is how I sum up their season. They had a strong start to the season but the challenge petered out over the course of the year. Strategic howlers robbed them of potential podiums and the car struggled to stay in touch with the top even after liberally using the upgrade tokens throughout the season. Sebastian Vettel and Kimi Raikkonen were delegated with the task of keeping the tifosi happy and they did it to the best of their abilities. Kimi Raikkonen outqualified his team-mate ( 11-10 ) over the course of the season which was a pleasant surprise. The Iceman also managed to get 4 podiums finishing 6th in the Championship with 186 points. Sebastian achieved 6 podiums and P4 in the standings with 212 points. The team failed to win a race this year, their main target at the start of 2016. Overall its been a disappointing performance. The Power Deficit couple with Aerodynamic deficiency hampered progress. The car was also slow in getting the tyres upto temperature. They also need to have more faith in their strategies and not react to what others are doing during a race. The Result? Red Bull eventually caught up and overtook them, outscoring Ferrari by 70 points. Kimi had a decent year but it could have been a lot better if Ferrari had not made strategic errors in a few races. He could have achieved some more podiums. Kimi should be strong in 2017. Ferrari need a major overhaul if they need to challenge for the title in 2017. The learning curve is going to be steep but with the Financial Resources they have, progress should be faster. Force India ended 2016 as the strongest Mercedes Customer Team. The team went from strength to strength each year and they are reaping the fruits of their hard work now. Sergio Perez and Nico Hulkenberg produced the goods again as the team clinched 4th place in the Constructors enabling them a strong base to start from in 2017. Sergio Perez achieved 2 podiums in Monaco and Canada and finished in the points on 14 occasions. Hulkenberg's best finish came in Belgium ( 4th ) with 14 points finishes as well. Perez finished the season on 101 points with Hulkenberg scoring 72. Force India should be proud of what they have achieved this year with the limited resources they had. The Drivers were consistent in bringing home results and although P3 will be a tough ask, finishing P4 again is achievable. Williams had a strong 2014 and 2015. However 2016 saw a sharp drop in performances and results. Felipe Massa and Valtteri Bottas teamed up for 2016. Bottas got a podium ( 3rd ) finish in Canada while Massa's best finish was 5th in Australia & Russia. Bottas amassed 85 points while Massa finished 11th in the standings with 53 points. The team was overshadowed by Force India though. The Silverstone based outfit prevailed against them in a hard fought battle. Felipe Massa announced his retirement from the sport and was given a fitting farewell by one and all in F1. The Team dropped to 5th in the Constructors' standing as against 3rd last year. They never looked like challenging the works team in the 2nd half of the season. The team would be very displeased to lose another position to Force India, a team operating with a smaller budget than theirs. The saving grace for them was the power advantage of their Mercedes unit, else P5 would be a tough ask too. Williams have work to do for 2017. McLaren continued with Fernando Alonso and Jenson Button for 2016. Alonso suffered a bad accident with Gutierrez in Australia and had to skip Bahrain GP. Stoffel Vandoorne, the reserve driver, finished 10th in Bahrain grabbing the first point of the season for McLaren. Alonso won the team-mate battle finishing 10th in the overall standings with 54 points. His best finish was 5th in Monaco and USA. Jenson Button who announced his retirement from the sport at the end of the season finished 15th with Austria yielding his best race finish ( 6th ). McLaren improved considerably in their 2nd year with the Honda engine. They managed to put in a fair number of miles throughout the season. Results improved considerably but still they are nowhere near the performance levels that they should be. 2017 will be an interesting year. Hopefully Honda can concentrate on power rather than reliability over the winter break. Toro Rosso had a torrid time with Renault powered engines in 2015 and reverted to Ferrari powertrains, albeit the 2015 one. Toro Rosso continued with Carlos Sainz Jr. and Max Verstappen for 2016 but the lineup changed post Russia after Kvyat caused a collision and was demoted to Toro Rosso, Verstappen moving up the order. Many questioned this move mid-season but Red Bull reiterated that this was necessary to help Kvyat develop into a better racer. Toro Rosso had a very capable chassis and produced strong results throughout the season - 63 Points and 7th in the Constructors' Championship. Carlos Sainz Jr. finished 8th in the Drivers' Championship with 46 points, Max scored in 3 races ( till Russia ) while Kvyat managed to score in only 3 races after his demotion. Sainz showcased his class again with 6th place finishes in 3 races and being consistent throughout the season. One has to feel for Kvyat, first the demotion, then the struggles and problems he faced during the season. He has another year to make things right but with Gasly breathing down his neck, I have my reservations. Toro Rosso can take pride in the fact that they have given F1 world class drivers and Max ensured the tradition continues. Carlos too is waiting in the wings. Red Bull have their hands full. Haas, the new boys in F1 garnered a lot of attention both in pre-season and through the season. Romain Grosjean left Lotus to join Haas with the plan of eventually stepping up into the Ferrari Works team ( should an opportunity arise ) while Esteban Gutierrez landed the 2nd seat, courtesy of Ferrari, the engine suppliers for the team. Gene Haas always had a presence in F1 but coming in as a full fledged team would pose a different challenge altogether. Romain Grosjean scored all the points for the team. The Frenchman amassed 29 points which helped Haas finish 8th in the standings. His best finish was 5th in Bahrain. Esteban Gutierrez drew a blank but missed out on points on a few occasions. It was quite evident that having a more experienced driver helped the team considerably. Romain was retained for 2017 while Gutierrez has lost his seat to Magnussen. One does feel sympathy for Esteban but he was so comprehensively beaten by his team-mate that there would be very few people who would justify giving him another year. It was a fantastic maiden year for Haas F1. Very few would predict an 8th place finish, one ahead of a works team. They have a strong platform to build from for 2017. I believe the teething issues of their maiden year will be addressed and Haas will be a force to contend with. Renault broke off from Red Bull and purchased Lotus F1 to become a full-time Works Team in F1. It was a tough ask to turn it all around in 2016. Lotus had a better outing in 2015, even grabbing a podium but one must not forget that it was a Mercedes powered chassis. As informed to me by my friend, the 2016 Challenger was essentially a 2015 car with a lot of upgrades. The Delay in the takeover left little time in developing a new car. Renault however was here to stay and a roadmap to supremacy was laid up. Renault hired the services of Jolyon Palmer and Kevin Magnussen after Grosjean left for Haas and Maldonado was relieved of his duties. Progress, as expected was tough and Renault had to address issues throughout the season. Nevertheless, Kevin Magnussen managed to fetch 7 points for the team, finishing in the Points in Russia and Singapore. Jolyon Palmer on the other hand had a poor debut season with a solitary point in Malaysia. However he was also the victim of reliability issues and unfortunate incidents. His performances did improve in the latter half of the season which was enough to warrant him a seat for 2017. Renault finished the season in 9th with 8 points. Renault will be working over the winter break. They were finding their feet in 2016. 2017 must produce a big step up in terms of results. Sauber had a horrid 2014, 2015 and 2016 was destined to be the same until Nasr clinched 9th place in Brazil. These 2 points elevated them to 10th place in the Constructors' Standings, the final place in receiving a financial bonus. Marcus Ericsson finished the season pointless, his best finish 11th in Mexico. The Chassis has been the main challenge for the team. The 2015 Ferrari powered unit was strong enough but poor chassis design and lack of aerodynamics hampered progress. Sauber is a cash strapped team and one can empathize with where they are now. Hopefully they have a more decent outing next year and with a potential take-over doing the rounds, money might pour in to help them stay afloat and develop a stronger car. Manor, formerly Marussia hired the services of Rio Haryanto & Mercedes Protegee Pascal Wehrlein for 2016. However Haryanto lost his race seat ( after Germany ) after the sponsors failed to meet the financial obligations to the team. His best finish was 15th in Monaco. Esteban Ocon replaced Rio for the second half of the season and was very impressive in his performances. His best finish was 12th in Brazil and his performances were good enough to land him a seat in Force India in 2017. Pascal Wehrlein had a fantastic debut year in F1. He Secured the team's solitary point in Austria, a Result that almost won them 10th place in the Constructors but for what conspired in Brazil. Manor had a decent 2016 and should be proud of their performances. There is news of a takeover as well. Can they move up from where they are now? Time will tell. Felipe Massa said goodbye to F1 and its sad to see such a fantastic racer and human being leave the sport. Jenson Button, another gentleman and a former World Champion takes a one year sabbatical ( but I do feel he is retiring ). There will be a change of guard in 2017. Hope to see the new boys do well in 2017. Nico Rosberg won the Championship. Mercedes retained the Constructors' title. Mercedes again exhibited their prowess in the new turbo era. Their Engine has been pretty reliable, their upgrades effective and both their drivers just flattened the opposition. True Nico Rosberg has left the sport after fulfilling his childhood dream and we wont see him defend his title. However we must cherish the performances the man has produced to the title and we wish him all the best for the future. Keke Rosberg won it in 1982, Nico Rosberg wins it in 2016! Well, Like Father, Like Son! Nico Rosberg - Racer, Champion, Legend! 2016 has been an year of retirements - Audi leaving WEC, Mark Webber retiring, Felipe Massa retiring from F1. Jenson Button taking a 'sabbatical' ( sounds more like retirement to me ), Lionel Messi retiring from International Football only to return later ( thankfully ). The most heartbreaking news was of the Brazilian Football League Team Chapecoense's players losing their lives in a plane crash. Last Sunday we saw Nico Rosberg crowned as the 2016 F1 World Champion. Today we see him at the FIA Press Conference at the Prize Winning Gala announcing his Retirement from the Sport! This has definitely come as a shock as I was engrossed in writing about the 2016 Season Review over the past few days and relishing the battle that could have been between the Mercedes team-mates in 2017. The Dynamics of the battle would have changed. Well all this is now futile and Nico has made his decision. What made him take such a drastic step? Wasn't it too early to call it a day? What are the options for Mercedes in 2017? Here are my 2 cents..
Damon Hill was the only member of the Father-Son World Champion Club. 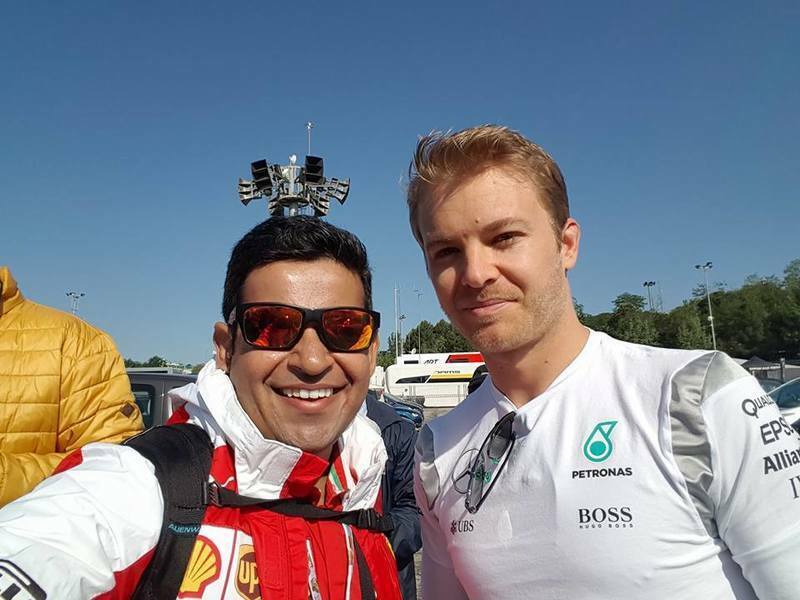 Nico Rosberg joined the club after he finally achieved his dream in 2016 when he beat his team-mate and Triple World Champion Lewis Hamilton to the crown. Mercedes have been the best since the start of 2014 and in Lewis Hamilton, Nico had a formidable opponent. Lewis was in it to win it, pretty straightforward. In terms of raw pace, Lewis had the advantage as well. Nico was the hard-working guy, putting in the hours and sadly came up short in 2014 and 2015. In 2016, he looked a different driver on the grid, a man who had taken on the mantle of beating Lewis and he accomplished it on many occasions. The best drive for me was in the Final Race in Abu Dhabi when Nico faced all odds to win the Championship. The F1 season is pretty long and unforgiving. Drivers, Team Personnel, Media all are away from families and loved ones for almost 8 months; add to that the pressure of winning a championship, its emotionally and physically draining. When Nico looked the best bet to win the Championship, a lot was said about him. Bernie Ecclestone, F1 Supremo quipped that Nico would be a 'Boring Champion' should he win. Many Media Houses ( whose names I choose not to mention ) had a clear bias towards one driver and tried to unsettle the competitors in interviews by asking controversial questions. Many Fans considered him 'lucky' to win the championship. Lewis Hamilton Loyalists even concocted conspiracy theories that a German Works Team would want a German World Champion and they sabotaged Lewis' car to help Nico win. Everyone is aware about the Mechanics Swap theory too. The Season has ended but still some Lewis Hamilton fans have not stopped ridiculing or mocking Rosberg. Ofcourse this is part and parcel of sport and each one of us swear by a driver but we can never know the range of emotions a man can go through when he is in the limelight and sometimes considered inferior to another. Our opinions remain opinions at the end of the day and the truth will remain the truth. Nico Rosberg is the World Champion, he is the best driver of the 2016 grid. We must accept it, whether we like it or not. Nico is a very pleasant guy and always believed that he needs to be a great ambassador for the sport. In my brief interactions with him as well as observing his demeanour with the fans, he has obliged everyone with photos and autographs regardless of loyalties. He has faced the boos, the jeers of the crowd with a smile on his face and silenced all critics with his drives this year. He was always a team player, evident from the many races that he raced in. I can completely understand and identify with his decision to retire. He wanted to win the World Championship, he has done it, he is at the zenith, there is nothing more to achieve and its time to move on. We all know what it meant to him when his emotions took over after the race was done. I must admit that I expected a better response by Lewis Hamilton to the news of his mate retiring. They have raced together since they were 12. Lewis & Nico might not be friends anymore but one must be more gracious in defeat. You cannot extend an Olive Branch today and burnt it the next day. Was it too early to retire? Nico is only 31. Raikkonen, Alonso are past the 35 mark and still plying their trade in F1. Kimi has been asked multiple times about his retirement from the sport ( implied ofcourse ) and his response is the same - "The day I stop enjoying the sport, I shall retire". Pretty simple. Mark Webber said that while driving his Porshce 919 Hybrid he thought "What am I doing sitting in this car".."The day you think like this its time to hang up your boots". Nico had revealed in his interview that after the 2015 US GP, he was distraught and never wanted to feel the way he did that day. I think that was a big hint. He had channelized all his energies to go for glory in 2016 and maybe avoid failing again. Once he achieved it, he was done. Many will say that he should stay and defend his title, well he thinks otherwise and we must respect that. He chose to end on a high and I believe he will let it stay that way.Michael Schumacher returned in 2010 and his record in his 2nd stint was nothing compared to his 7 Championships in the First, so in that vein of thought, its a good decision. What are the Options for Mercedes in 2017? Nico's retirement decision came a bit late for Mercedes. Top Teams have their drivers locked down under contract for 2017. Mercedes can look to their "Driver Program" and hire the services of young Pascal Wehrlein for 2017. If they do, I fear another Kvyat saga repeating itself. Pasacal has been in F1 for only one year. He is quick but his inexperience could bring pain to Mercedes in the Constructors' battle. Ocon has moved to Force India so he is out of contention. Nico Hulkenberg who recently moved to Renault would be ruing a missed opportunity. Daniel Ricciardo and Max Verstappen would not leave Red Bull for 2017. There are a lot of changes, mainly on the aerodynamic side and Red Bulls are the masters of it. They gave the Mercs a run for their money in 2016, so next year they would be hot on their heels. They might end up in the slower team should they choose to leave. Sebastian Vettel had a tough year in Ferrari but as he stated earlier, he wants to win a championship with Ferrari ( just like Schumacher ), so activating an exit clause seems unlikely. Fernando Alonso is advancing in years and wants another championship under his belt. I am not aware of his contract clauses but if he insists on leaving McLaren it would be another painful separation. Also would Mercedes risk a Hamilton - Alonso pairing considering what happened in 2007? I highly doubt it! Valtteri Bottas could get a step up considering that he is managed by Toto Wolff ( Mercedes Supremo ) and Mika Hakkinen. He has a considerable number of races under him and is a consistent performer. My pick would be Valtteri Bottas though I think Mercedes will persist with Pascal Wehrlein for one year and reassess their options for 2018. Finally returning to Nico Rosberg, I shall miss him. Nico was the driver I supported after Kimi Raikkonen ( Finnish Connection ). Almost everyone in the F1 World is in a state of shock but that is how unpredictable a sport can be. I am thankful to God that I got to meet him in Hockenheim in 2014 and this year in Spain. Nico has new challenges in life, a family to raise, a wife and daughter to love and cherish and I am fully confident that the man will emerge a winner in life too! The Family that stood by him, supported him helped him win this Championship. Its now time for him to love and cherish this family and I wish him all the best for the future! He fought the fight, he ran the race, he won the Championship and now his name is etched in the annals of F1 Racing History as the 2016 F1 World Champion! 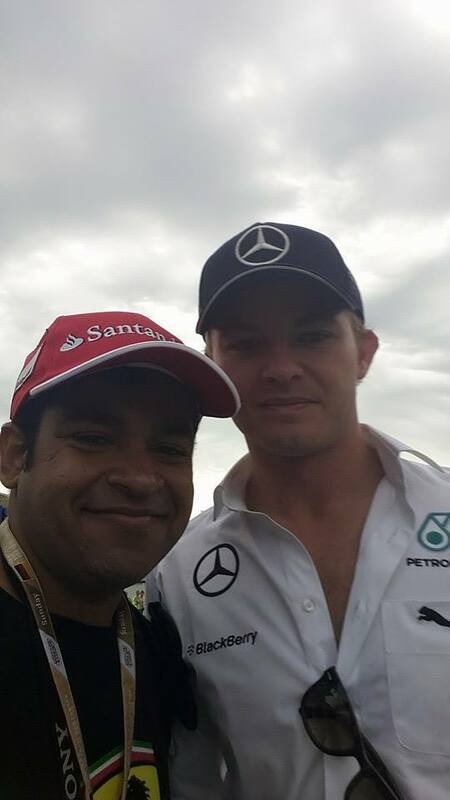 DANKE NICO ROSBERG, DANKE! GOTT SEGNE DICH! Barcelona had been a great trip. Ferrari achieved a double podium and I couldn't wait to embark on a new journey - to a new track, a new city, a new nation. Budapest, Hungary and the Hungarian GP was the next stop. I again chose to fly mixed class, i.e. First Class on the Outbound Journey and Business Class on the return journey. The Flying dates were on the 20th and 29th of July. Emirates operates a solo flight out of Budapest. The afternoon departure meant an early morning arrival into Mumbai, similar to the flight taken to Brussels in 2015. July is a relatively light in terms of passenger travel from Mumbai and the necessary formalities of check-in, security and immigration were completed in no time. It was time to relax in the First and Business Class Lounge. A Lip-smacking spread. I tend to binge and at such odd hours, makes you really lazy! The First Class Suite onboard Emirates! Never get tired of this! Breakfast, Lunch and everything in between. Eat until you land! Budapest Airport, small yet very beautiful! My S Class awaits its guest. It still is the most comfortable Luxury Sedan! It was quite an eventful trip and I would remember this trip for various reasons for a long long time. Emirates left no stone unturned in offering World Class Hospitality onboard their flights. Its high time that they earn 5 Star status as an airline. I continue to be a patron!